Leonidas Lazaridis und Philip Vogel started their Eulchen beer concept way back in 2013. 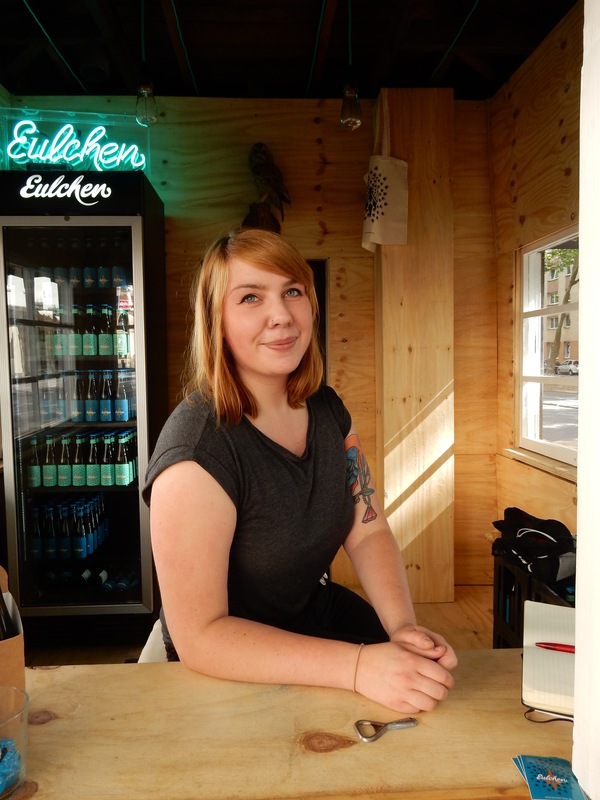 It bubbled away under everyone’s radar for a while until they took over the lease of the old kiosk on the Lessingplatz in the Neustadt in May this year. Maria was fronting up the Eulchen Trinkhalle the other day. “I’m not the guys who started it” she said. Much easier on the eye…. 23 Aug	This entry was published on 23 August, 2015 at 08:00. It’s filed under Culinary, Mainz, Neustadt and tagged Eulchen, Leonidas Lazaridis, Lessingpaltz, Philip Vogel. Bookmark the permalink. Follow any comments here with the RSS feed for this post. Newer: I like success stories….